Many of us recall our first business card. It was thrilling to receive the validation provided by these tangible, tradeable, mini-documents which affirmed our relationship with our employer. We were impressed with our cool cards because we knew being a business person without a business card was like being a peace activist without a protest sign. 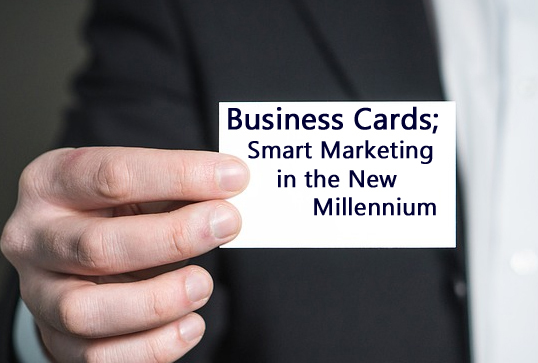 Despite rumours to the contrary, business cards continue to hold an important place for savvy business people in the Age of the Smartphone. Although in a number of ways, business card usage and appearance have subtly (and sometimes not so subtly) shifted over the years, they are still an essential engagement tool for most modern business people. Business cards allow you to put your most important contact information details directly and instantaneously into the hands of your clients and associates. You don"t even need to interrupt the conversation during the exchange. Not everyone you meet during your workday is a slave to their electronic devices. A business card allows you to communicate your most important information to anyone, regardless of their relationship with technology. Every business has computer issues; crashes, malfunctions and wholesale upgrades, all of which can put your vital client data in jeopardy. Maintaining a hard copy business card file is essential for protecting this extremely important resource. Business cards are a tradition older business people recognize and feel comfortable with. This may be the new millennium but these people are still old school all the way. They may not be impressed when they want to exchange contact information with you and you whip out your iPhone. Well-designed business cards provide instantaneous sharing of every type of contact information you wish to include, such as phone number, fax number, physical address, email address and website URL. You may not need to share each type, depending on how you use your cards, but future contact is what it"s all about. Cards get right to the point; they tell the world your core business thrust. "Effective Marketing at a Fair Price", "Small Breed Dog Grooming" or "Canada"s Best Whoopee Cushion Selection." Anyone with your card will be reminded why they need to contact you. Stacks of business cards can be provided to willing associates and other contacts to share. This is not possible with a smart device. Sharing contact information on smartphones is impersonal and can make you appear enslaved by your device. Business cards have a "gift" vibe to them which makes the exchange much more friendly and human. We appreciate receiving cards far more than, say, spam, or snail mail advertisements even if they contain the same messaging. In many circles, business cards are still expected, as they provide an element of credibility. Even in the new millennium, people will judge you harshly if they ask for a card and you don"t have one, no matter how smart your phone is. What is the central purpose of the card? Space is limited and you don"t want an over-crowded card. Is it to promote the business, promote the employee and their role in the company or to promote an event, service or product? What sorts of people are likely to receive a card? Are they for your clients, your vendors or other professional associates? Depending on who the intended recipients are will affect the tagline message and style. What kind of image do you want to project with your card style? Creative and "hip" or stable and "professional" in the traditional sense. Balloon artists, for example, can have much more artistic-looking business cards than would be appropriate for a doctor, a lawyer or an accountant. Your image can be further enhanced if you have a luxurious card that creates a good first impression. Paper thickness, coatings, embossing or unique shapes can make all the difference when you want to make a lasting first impression. Do you envision your card having a "call to action" aspect to it? Perhaps the bearer can get a small discount on their first purchase or bring it to your store to claim a bit of swag; a company calendar, for example. 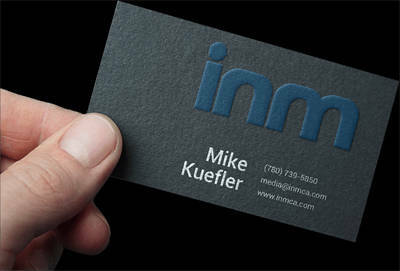 When you have made the all-important decisions as to what you want your card to look and feel like and the message it is to deliver, check out INM's dedicated Business Card Page for more information and style options.